Beaches are an ideal location for engagement photo shoots as they let you escape from the hustle bustle and capture some dreamy moments. 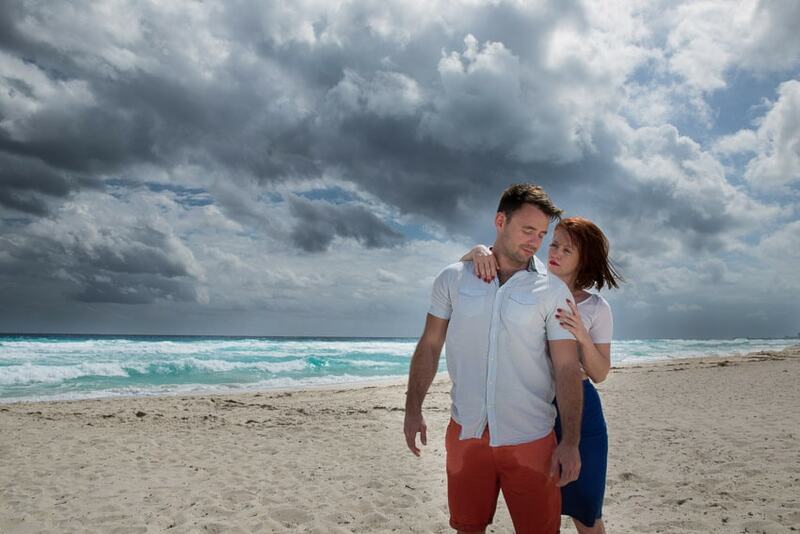 Engagement photo shoots at the beach offer you opportunities to get creative. 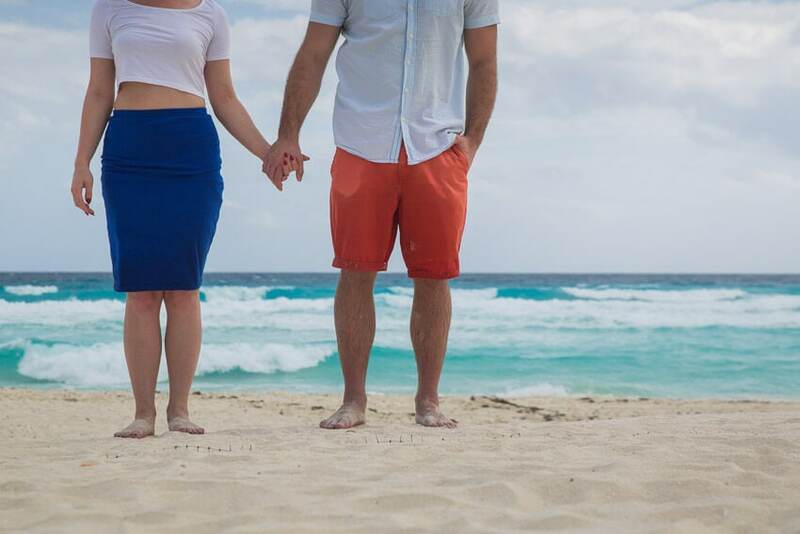 There are a few things to keep in mind when scheduling beach engagement photo shoots. 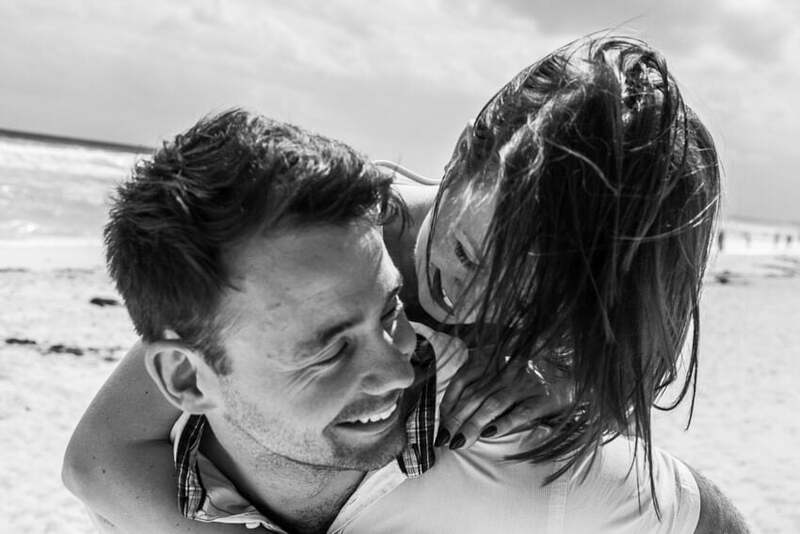 Here are a few tips that will get you geared up for an effective beach engagement photo shoot session! Get to the beach early, take off your sunglasses, let your eyes get used to the light. 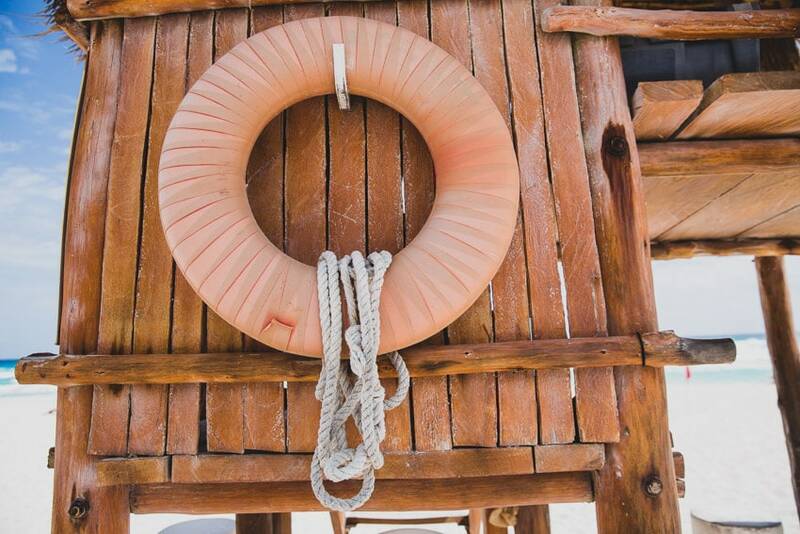 Apply some sunscreen moisturizer and if you are wearing any makeup – make sure it’s waterproof. For light adjustment, one of the posing tips for couples is to close their eyes and open on count of three, works for most- give it a try! Kick around the sand, get a feel for the water. Get comfortable with your surroundings and share some beautiful moments with your better half. Think of it as a date with your fiancé … and the photographer as a third wheel! Brace yourself. As with any other trip to the beach, there will be sand everywhere! Make sure to pack some ziplock bags to keep your valuables and electronics to keep your items protected! Light coloured clothes against deep blue waters complement the surroundings. Pastel colours such as light shades of blue, purple, pink, etc. help bring out the natural element of the scenery. For more outfit selections, feel free to include two or more dresses in contrasting colours. Free flowing outfits, rompers or jumpsuits, scarves or straw hats work well with windy beach side. There is no stopping those big waves, so just in case pack extra towels. For hairdos, it’s better to have open hair, as it has a natural essence to it. Big curls don’t work well with windy beach side as it makes them look puffy but feel free to go with what works best for you. For footwear, it is easier to walk barefoot but flip-flops or sandals can work too. Pick one … or both! Known as “The Golden Hour”, these times are the best for capturing the right lighting. Make sure you request your photographer to schedule photo-shoots at a time when the sun either rises or sets.